← Items a Couponer Should NEVER Pay For! For many shoppers who are serious about spending less on groceries. Here you’ll find everything you need for navigating your first trip to ALDI. Many great tips for shopping at Aldi. Be prepared before you head to Aldi. It is no secret I love to Shop At Aldi. In fact, you will be surprised that I shop their weekly and have been shopping at Aldi for many many years now. I have put together this post to help you understand 7 Things You Need To Know Before You Shop. So many people refuse to step foot in Aldi and I have NO idea why. Maybe it is because of the bare-bones look to it or the fact that you have to bring your own bags. Whatever that reason, there should be no fear about stepping inside to shop for the first time. Aldi has been around since 1961, where the first store was opened in Germany. Aldi US has been around for 40 years. Started as a small family business by the Albrecht brothers. They grew up in a family store that had to have competitive prices to stay in business. Aldi has always believed in the best product for the best prices. There are no frills, but the products are quality and you can wake away with money left in your budget. At Aldi, there are never any shopping carts in the parking lot. Why? Well, it takes a quarter to get a shopping cart. Everyone wants their quarter back, so people tend to return the cart to the bay. You get your quarter back and the parking lot is cart free! This allows Aldi to keep their prices low since they don’t have to have an employee fetching carts all day! What types of bags can you bring? You can bring ANY bags! You can also use boxes from the store, but I usually bring my own reusable bag. Aldi also will sell you a paper bag if you need one, but plan ahead and bring your own! If you forgot to bring your bags, look for empty boxes throughout the store. Keep your eyes peeled for them. Often times my store keeps a stack of them on the counters provided for bagging your groceries. You can purchase their Aldi bags for $0.10 a piece for plastic or $0.06 for a paper bag. I typically just keep my bags in the back of my car, that way I always have them on hand and I never have to “remember” them. Aldi will refund your money AND replace the item you bought. Now, that’s what I call a win-win situation! Luckily I have not had to use this guarantee, but it is great to shop somewhere that stands behind all of their products. Each week Aldi’s features their “produce picks of the week”. This is my favorite thing about Aldi – their produce! Not only is their produce typically cheaper than other local stores, but it tastes great! One word of advice; shop earlier on in the day for produce. While they are often replenishing produce by the end of the day most of the fresh produce is well picked over. Shop Aldi Branded products. Did you know that many of their products are re-branded products? They buy overstock from other companies. Many companies (private label brands) are making products for ALDI. Really!!! It is the SAME food that manufacturers make for other grocery store private label brands, as well as the many national brands. Did you know that 90% of Aldi branded items are these private labeled items? They pay for their own labeling costs. By developing their own labels for unlabeled products, Aldi lowers their costs and in turn passes those savings to the consumer by providing products at a cheaper price. Another reason to love Shopping at Aldi. Aldi is one place where you do not want to buy name brand products. These are almost always priced higher – not only higher than the Aldi brand but higher than they would be at other local stores. Aldi has its own brand in almost anything you want to buy, so this should not be a problem. Aldi stocks many items with organic options. You can get carrots, apples, and bananas that are organic. You have organic meat options in steaks and ground beef. Adli is offering many great options for those who have dietary needs such as gluten intolerance. In fact, within the last year, they have increased their organic, natural and gluten-free lines. Consumers have spoken and Adli has listened. Their natural/organic line is called Simply Natural and their gluten-free foods are under the live gFree line. 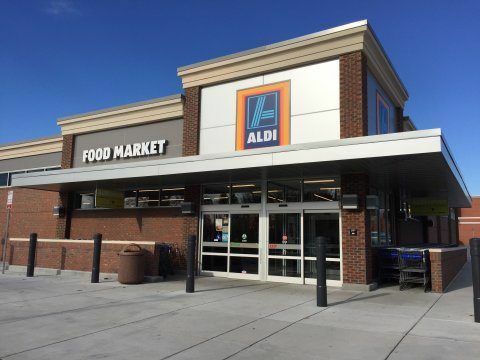 Aldi continues to add products to the organic shelves, so be on the lookout for these items. 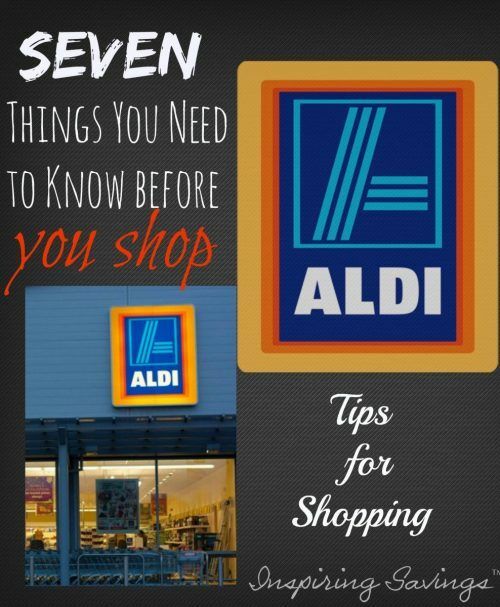 I hope these tips will help you better Shop At Aldi! Six Budget Busting Foods – That are costing you more money! THE LAST TIME I SHOPPED AT ALDIS I PURCHASED CLEMENTINES AND MUSHROOMS THAT WENT BAD WITHIN 3 DAYS OF PURCHASE. I NOTICED THAT A LOT OF THE PRODUCE INS’T REFRIGERATED LIKE IT IS IN OTHER STORES. I WISH I HAD KNOWN ABOUT THE DOUBLE MONEY BACK GUARANTEE THEN. HAS ANYONE ELSE HAD ISSUES WITH THEIR PRODUCE? I HAVE ONLY SHOPPED THERE A HANDFUL OF TIMES SINCE WALMART DISCONTINUED THEIR AD MATCH POLICY. I shop their weekly for my produce and have personally have never had any issues. You do have to check your produce before purchasing. I always suggest going in the morning instead of the afternoon as all the good produce has been picked over.